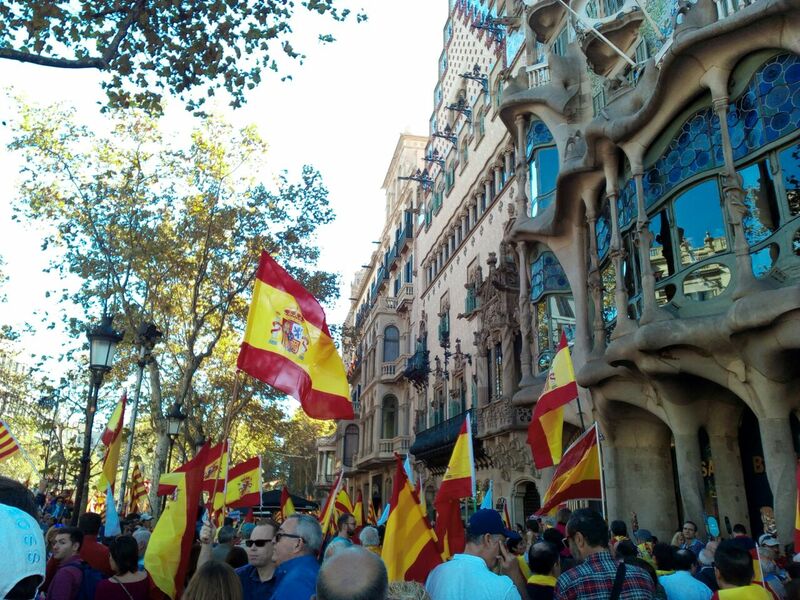 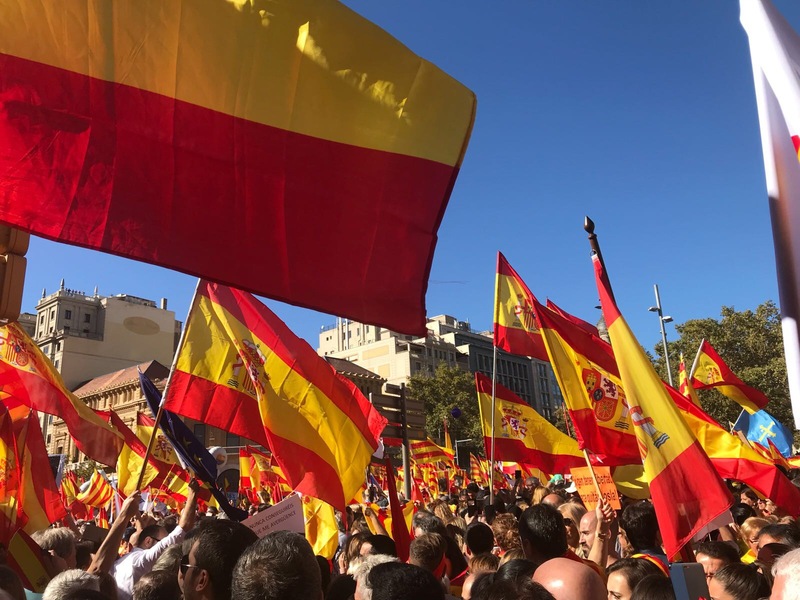 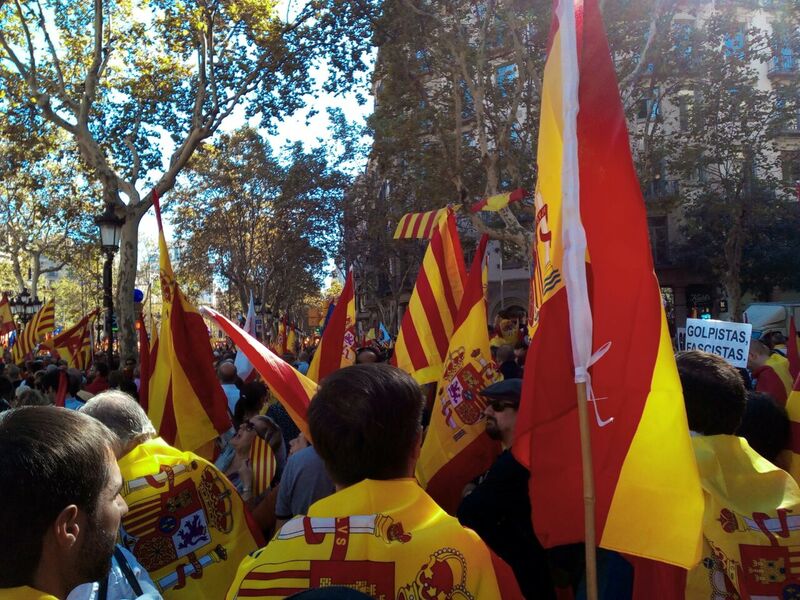 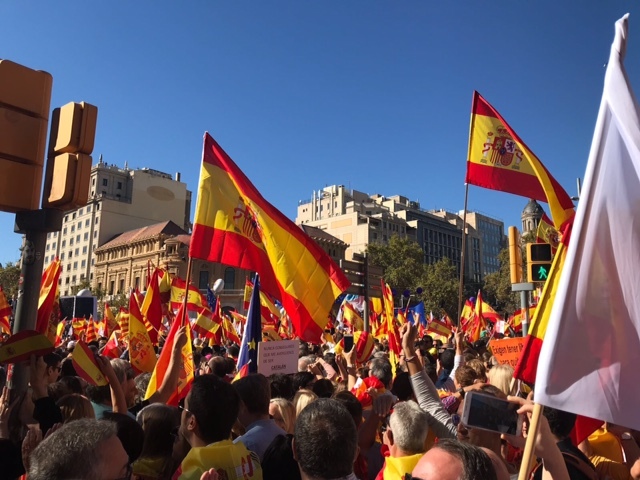 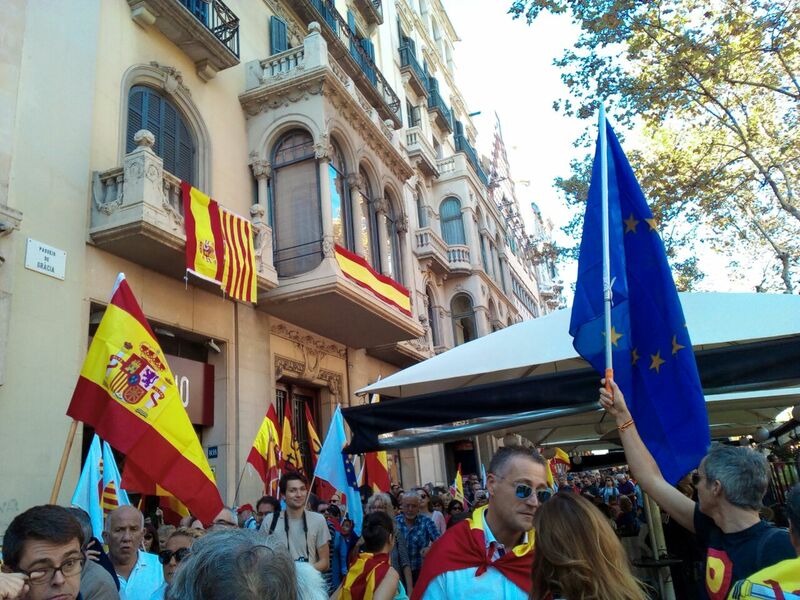 Mass demonstration in defence of Spanish unity in Barcelona two days after the Catalan parliament declared independence from central government of Madrid. 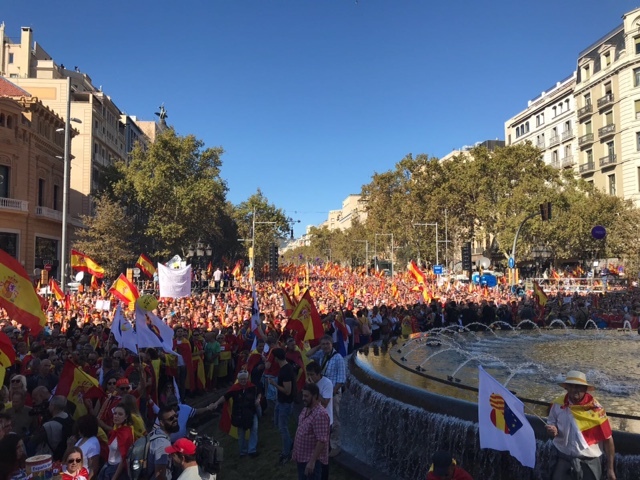 Organisers of the manifestation declares 1,3 million participants, Spanish government 1 million, police 300,000. 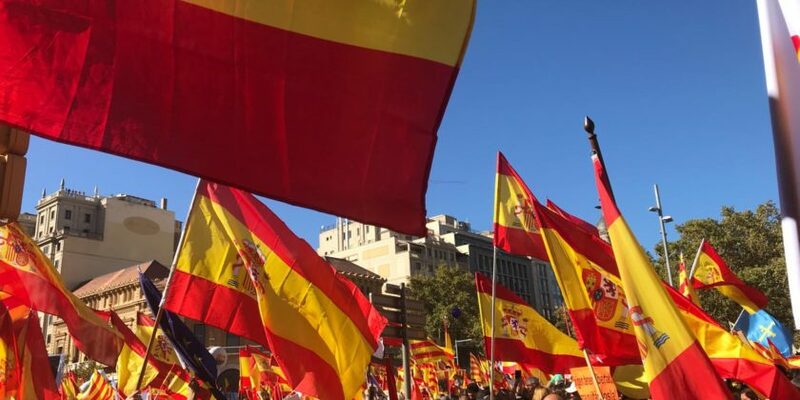 A poll published by Spanish national newspaper El Pais on Saturday suggested a small majority of Catalans (52% to 43%) were in favour of the dissolution of the regional parliament and the holding of elections.